I am balancing on a 12-foot, wooden paddle board armed with an oversized kayak paddle I used to propel myself away from the jungle island and into the Atlantic Ocean when I notice a shark swimming 30 yards behind me. Ahead of me I see nothing but azure water so I do the only thing that comes to mind: I wobble down to my knees to untie the fishing pole I have strapped to my board and cast out in the direction of the unmistakable fin. The shark is oblivious to my first two casts, but on the third cast she catches the scent of the shrimp I’m using for bait and charges after it. I wind faster. This angers her; she accelerates with remarkable speed to close the gap between her teeth, my bait and me. I’m quickly running out of space––I have wound in nearly all my line and the chase is still on. I lower my rod tip into the water and whip it to the back of the board to keep my bait in motion when––BANG––the shark annihilates my bait 18 inches in front me! The shark strike creates a surface explosion like a cannonball hitting the water. My pole is instantly doubled over from the weight of the sea creature, which spins 180 degrees with a splash of its tail and races off into the depths of the Atlantic with me now in tow behind her. 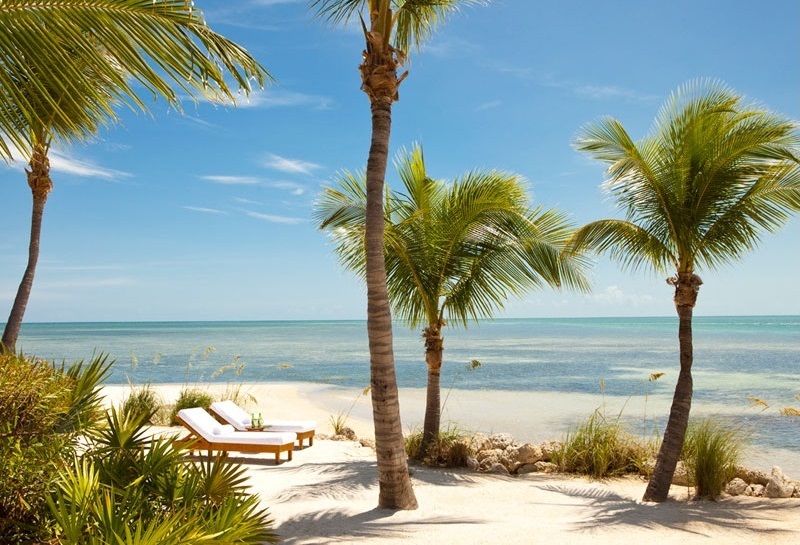 As thrilling as it was, the shark escapade was just one episode of a surreal sequence of adventures my wife and I experienced at Little Palm Island Resort & Spa near the Florida Keys, a private, 5-acre island resort miles off-shore from the southernmost tip of the United States. 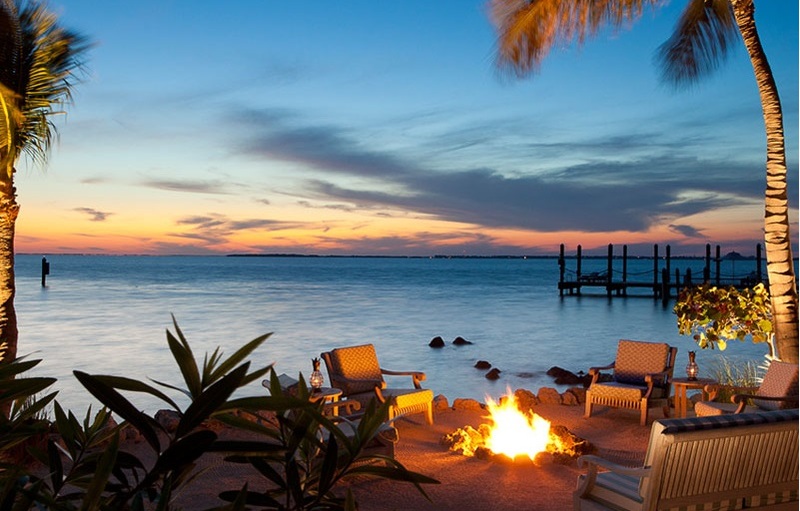 At Little Palm Island, breathtaking moments seem as common as palm trees. Just 12 hours before the shark encounter, Jodie and I feasted on a tikki torch-lit, five-course dinner on the beach with a personalized menu congratulating us on our 4th wedding anniversary and a pianist playing in the background. Less than 90 minutes after the shark, we were pampered beyond belief for two hours with an ancient Indonesian ritual known as the Javanese Royal Treatment at Little Palm’s award-winning Spa Terre. From the instant we arrived until the tragic moment when we had to leave paradise and return to the real world, it was abundantly clear why Little Palm Island is routinely named one of the best resorts on the planet. 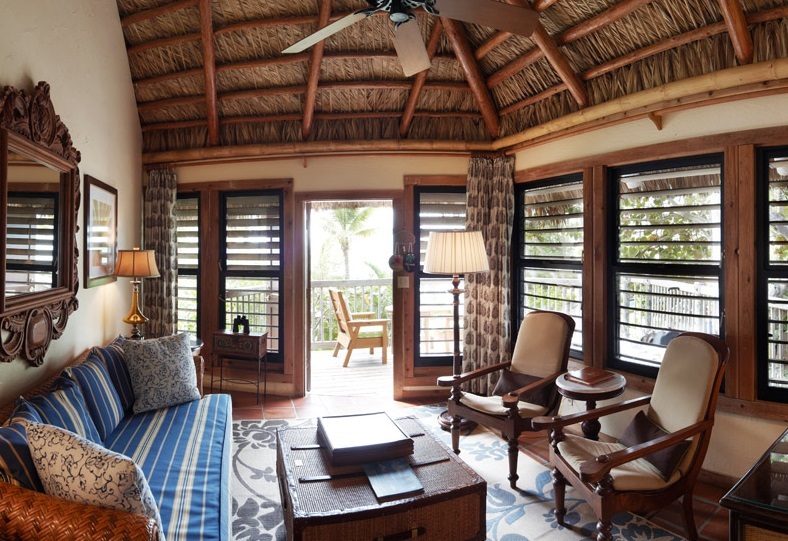 We smiled in awe of the path Renda led us down––a West-facing dining room on the edge of the beach; a sequestered pool shaded by giant palm trees next to an outdoor bar; a marina with kayaks, paddle boards and motorboats for us to use whenever we wanted; a rustic library with a take-a-book, leave-a-book policy as well as the only TV on the island; an over-size chess board beside the trail to a plush spa; a Zen garden and a gazebo overlooking the ocean; and, finally, at the far corner of the island, our romance suite: a thatched-roof bungalow on the water complete with our own fire-pit, deck, outdoor Jacuzzi and open-air bamboo shower. We followed Renda into the suite. After we passed through the living room and bathroom (which also had an indoor shower and a soaking tub), we made our way into the master bedroom––featuring a curtained canopy bed and vaulted ceiling––and noticed our luggage tucked carefully in the closet. 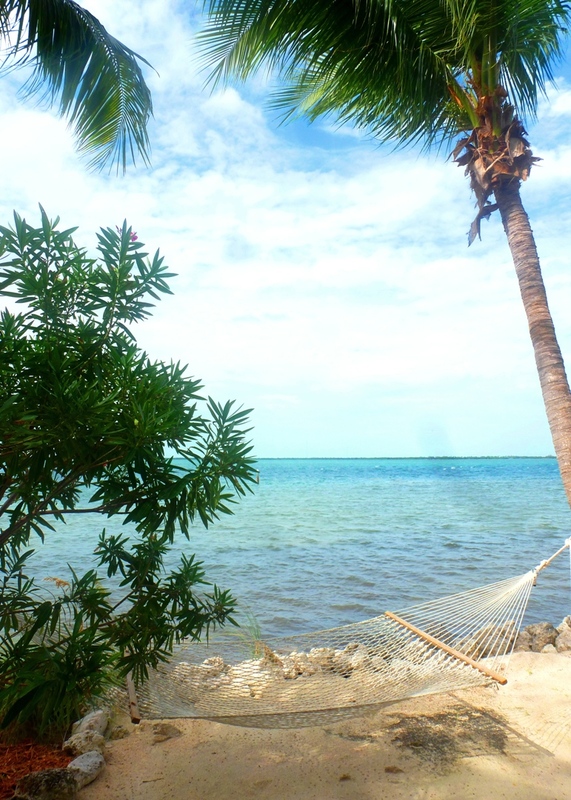 We had arrived more than 5 hours ahead of check-in time yet Little Palm was ready to welcome us into its island oasis. In the weeks prior to our arrival, Little Palm Island––named the No. 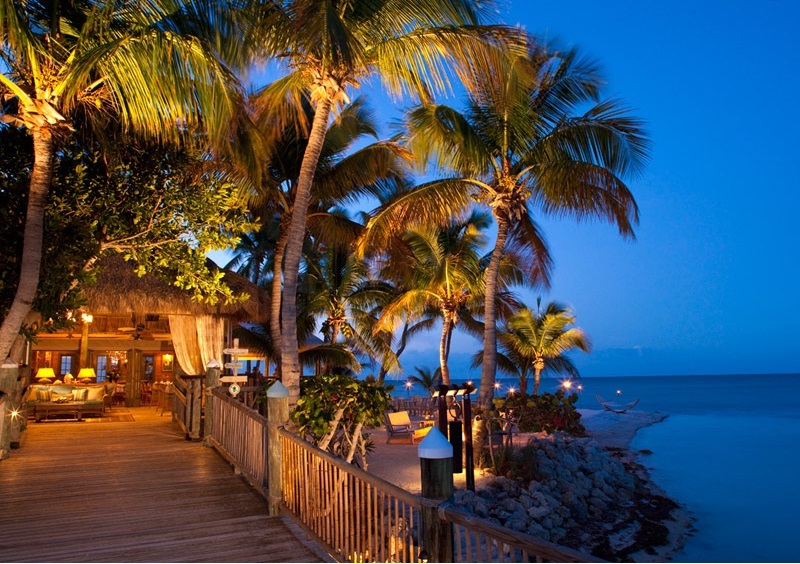 1 beach resort in the U.S. by Travel & Leisure––had welcomed guests from England, France, Germany, Sweden and Dubai. 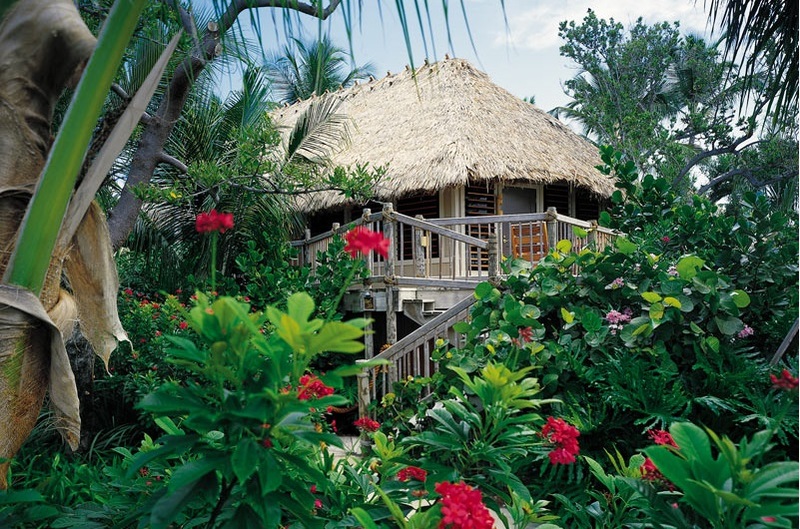 The resort features 30 isolated bungalows, each designed for two guests. It’s a vibe similar to that found in the South Pacific or West Indies, and as amazed as I am that such a luxurious, jungle-island paradise exists anywhere on earth, I am almost equally surprised that all I had to do to reach it was jump on a plane to Miami and drive a couple hours. Not only was the staff ready to welcome us to Little Palm Island, so, too, were the fish. After checking in, we immediately went to the beach and while Jodie laid down to soak up the sun, I grabbed a fishing pole and some shrimp from the dockhand and cast out. Ten seconds later, I had caught my first-ever saltwater fish, a jack. The very next cast yielded another species I had never before seen or caught: a mackerel. Half an hour of such fast action inspired us to take out one of the Boston Whaler boats available for guests to use. Having never before fished in the ocean, it was exhilarating to cruise around by ourselves on an 85-degree sunny day and haul in fish after fish––mutton snapper, mackerel, grouper, snook, jack, yellow tail snapper, bluefish and mangrove snapper. The non-stop action, combined with the beauty of the island, made it easy to see why Little Palm Island was once a popular fishing camp for Presidents Roosevelt, Truman and Kennedy. Later in the day we tried paddle boarding for our first time ever and loved it. You stand aboard a thick, surfboard-esqe device and row yourself forward with an extra long kayak oar. 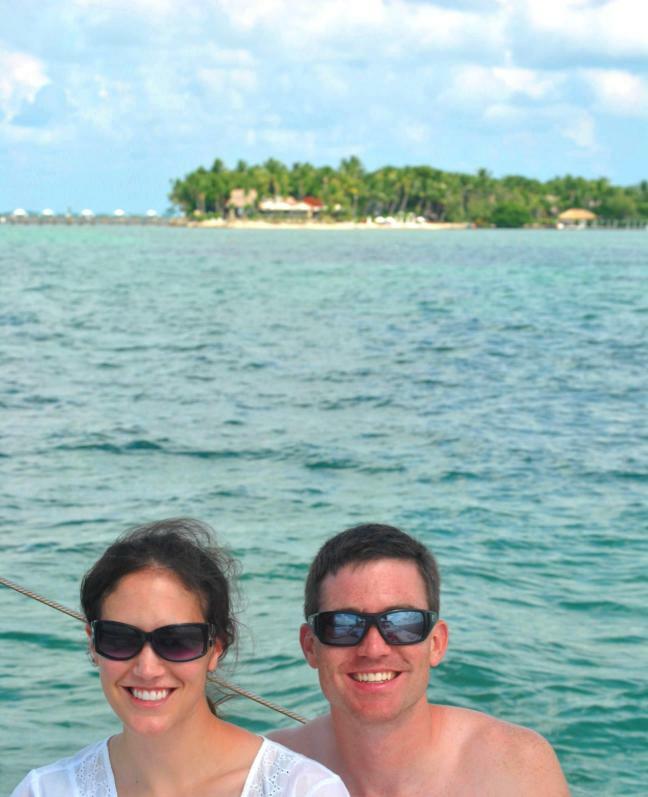 It’s surprisingly easy to move fast on a paddle board, though we quickly discovered our preferred mode of transportation on a paddle board was to lie down on the board, look out at the horizon and let the wind blow. 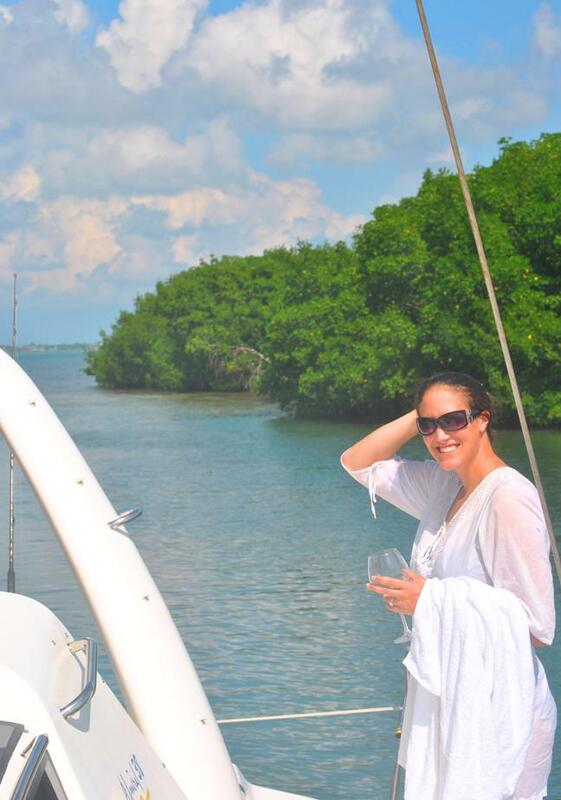 The wind was also our fuel the next day for another unforgettable adventure at Little Palm Island: a day of private sailing aboard the LilyAnna, a beautiful, 38-foot Admirable-class Catamaran. Neither Jodie nor I had ever been sailing, and it turns out we picked a Rolls Royce for our first drive. The LilyAnna, built in Cape Town, South Africa, is sleek, smooth and superbly comfortable. We sailed out to Hog Reef, arguably the top diving destination in the U.S., and snorkeled among hundreds of fish on a pristine reef in a protected sanctuary. 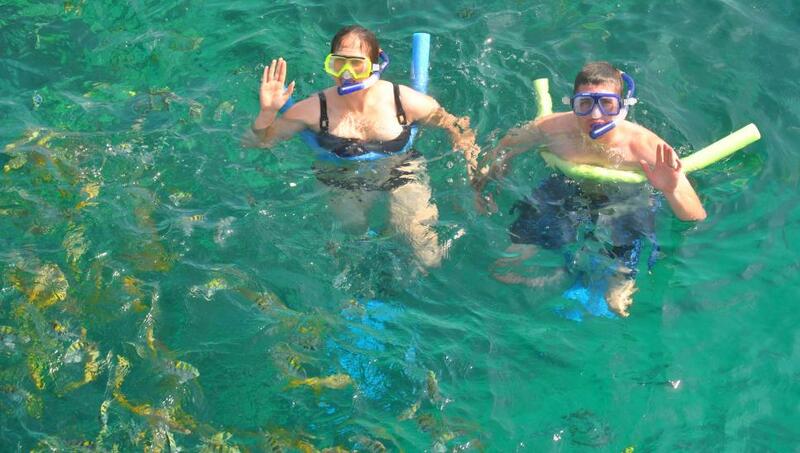 We have snorkeled in hot-spots such as Cozumel and Hawaii, and this site blew both places out of the water. Willie and Mike made the adventure even more fun. They’re the perfect companions for a day sail––quick to laugh, full of interesting sea stories, and eager to serve. “If you need anything don’t get up, just wave your hand in the air,” Mike instructed us as we laid at the front of the vessel polishing off our complimentary bottle of wine. While I was drawn to Little Palm Island for a Robinson Crusoe-style tropical adventure, I have to admit when it came to food I wasn’t exactly scouring through the jungle trying to live off the land. 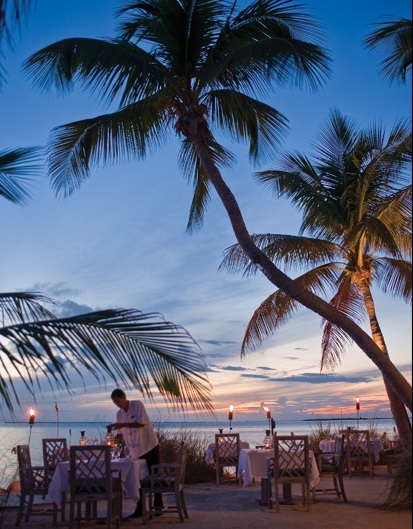 In fact, the resort's famous dining room was created by the award-winning Chef Luis Pous, who is widely admired for developing the island’s signature Pan-Latin cuisine. His Cuban heritage and love of the Caribbean have inspired him to create unique dishes such as Foie Gras Cuban sandwiches and Key West lobster with apple, truffle, tarragon and Key Lime risotto. The food itself is delicious, but the restaurant’s setting makes everything taste that much better. Jodie and I sat mere feet from the ocean and enjoyed a perfect view of the sunset. Now, as a result of that one comment, here we were looking at a personalized menu! In fact, even the banana split I ordered for dessert was adorned with a chocolate “Happy Anniversary” wish. With personal touches like that, it’s no wonder why guests return to Little Palm Island as if it’s a religious pilgrimage. One couple was married at Little Palm Island 17 years ago (the island offers a wedding coordinator among its 110-person staff and celebrates 30 weddings a year) and has returned every year since. 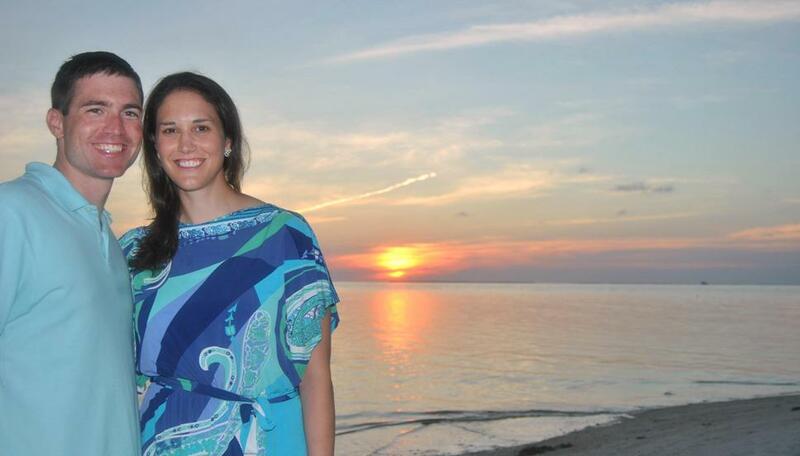 In 2014, the couple plans to bring their twin daughters to celebrate their birthday with a Sweet Sixteen celebration on the beach. I’d be remiss in discussing food at Little Palm without mentioning breakfast. It is an experience unto itself. The evening prior, you check what items you want on the menu, as well as what time you want your breakfast delivered. Then you place the menu in your bamboo mailbox outside your bungalow. 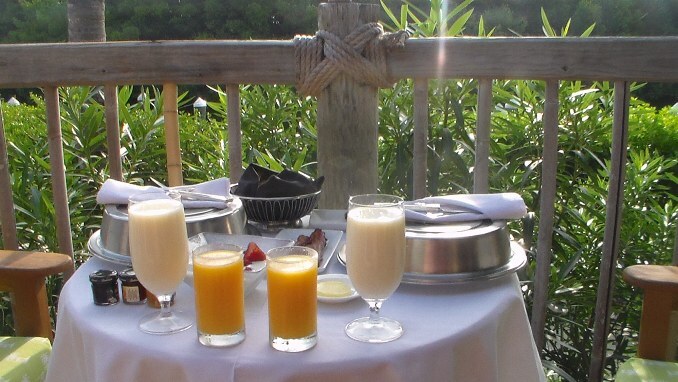 While you’re sleeping, a staff member takes the menu and next thing you know there’s a knock at your door in the morning and breakfast is served on your private deck overlooking the water. One morning while devouring French toast, eggs over easy, yogurt with granola and fresh fruit, Jodie and I saw two Key Deer swim over from a nearby island onto Little Palm and walk right in front of us. The endangered deer, which look like miniature whitetails, are very common at Little Palm Island. In fact, we saw multiple deer at close distances every day. 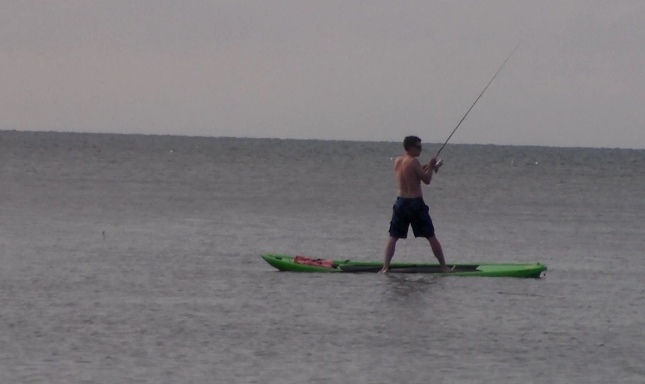 It was about an hour after breakfast that I jumped on the paddle board that fateful morning and encountered my shark. The beast tired, eventually, after peeling out nearly all the line in my reel. It was quite an adrenaline rush to conquer the shark, and I won’t soon forget the view of its dorsal fin slowly sinking away after I released it. Less than 90 minutes after that primitive adventure, I enjoyed another unique experience at the opposite end of the spectrum: a relaxing couple’s treatment at Little Palm Island’s Spa Terre. After checking in at the main spa center, we were led to an enormous, enclosed garden. 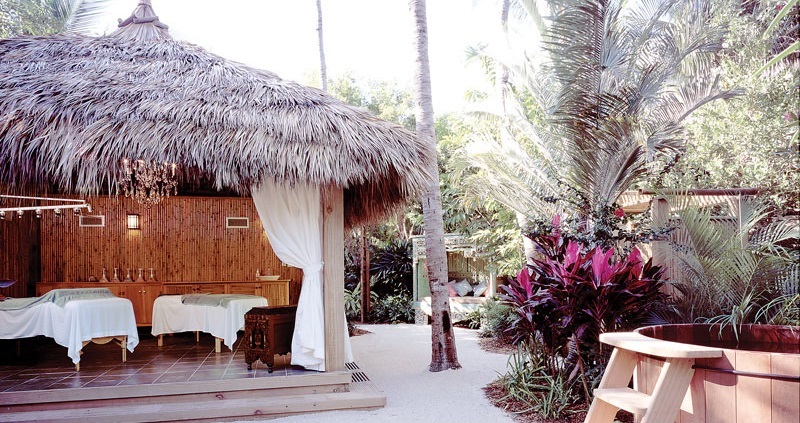 We would have this entire, lush space to ourselves––along with our masseuses––for the next two hours. We underwent Spa Terre’s signature Javanese Royal Treatment, an ancient tradition originating in the palaces of Java, Indonesia. It began with a Balinese massage using Jasmine scented flower oil and culminated with the application of warm yogurt, creating a strangely soothing sensation. We then took an outdoor shower and proceeded to soak in an exotic flower petal bath. It seemed we were in the Orient as we sipped on sweet tea and watched flower petals float around us. Finally, we went back into the massage room and had Jasmine scented lotion applied to us by the skillful masseuses. For the first time in several days, I smelled like neither fish nor shrimp––a fact my wife greatly appreciated. After spending several days at this one-of-a-kind paradise, I can now say that “exotic perfection” is indeed the first and final impression of Little Palm Island. 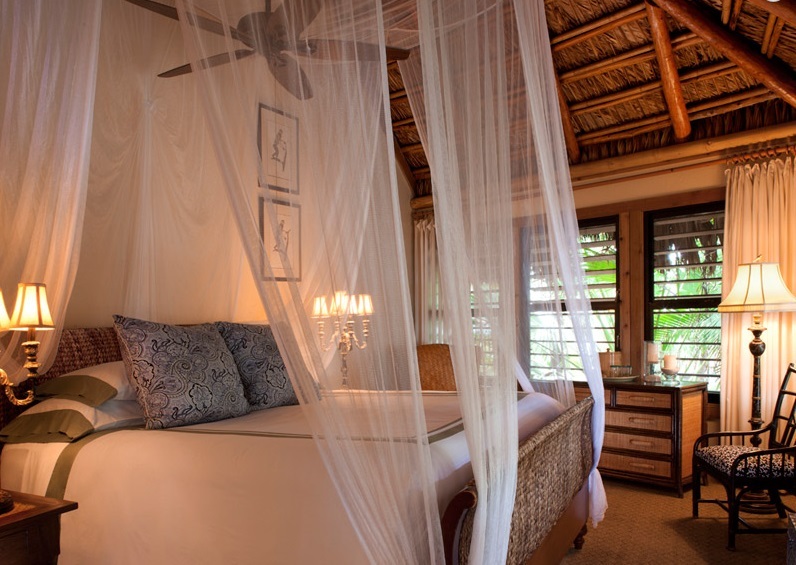 The website for Little Palm Island Resort and Spa is www.littlepalmisland.com. 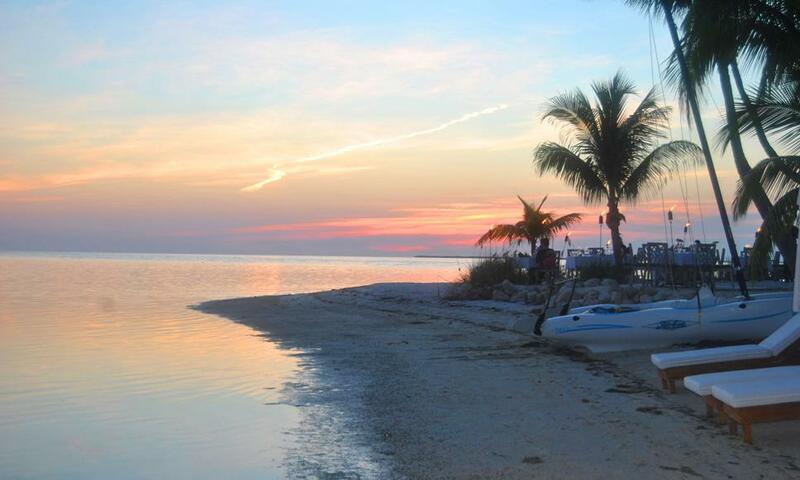 To contact Little Palm Island, call 800.343.8567 or email getlost@littlepalmisland.com. Little Palm Island was named the No. 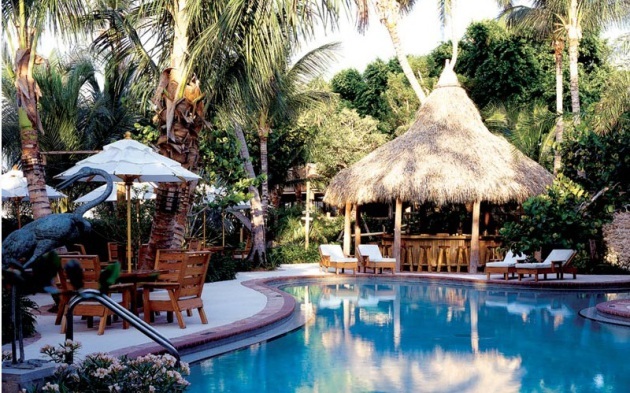 1 resort in Florida by Conde Naste Traveler. Spencer, a 15-year-old heron, is the mayor of Little Palm Island. 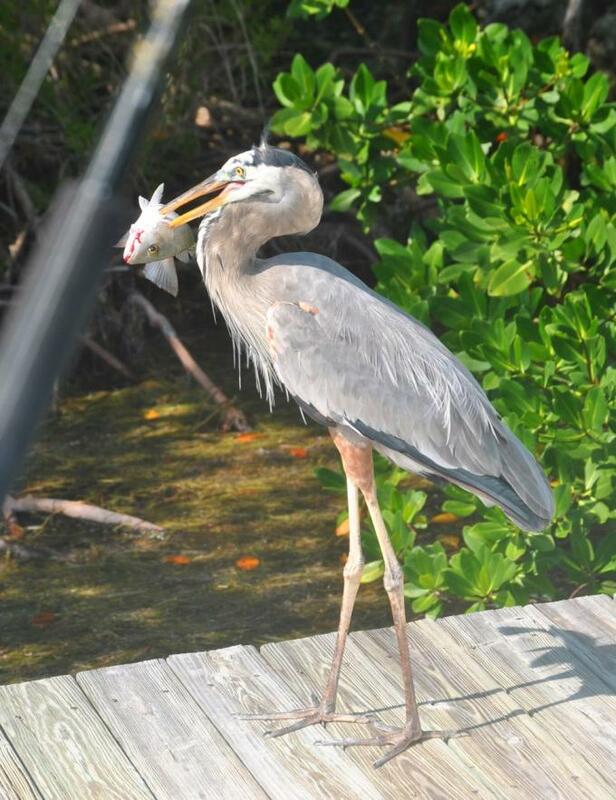 He has reigned over the island for years, and does not let other herons live at Little Palm. Whenever I'd catch a fish, Spencer would come running up to me for his snack. I'd hold out the fish, and Spencer would take it directly out of my hands. We had a blast taking out the motorboats available for guests to use. 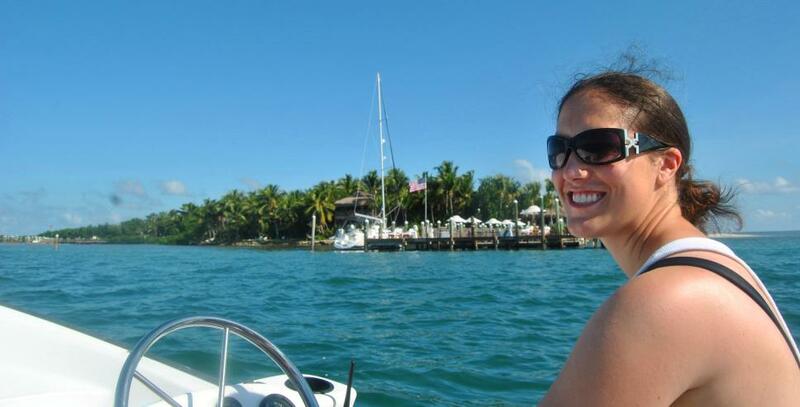 Jodie was our fearless captain, and it was exciting to fish off the boat and catch all sorts of new species. I also discovered that fishing on a paddle board is one of the most intimate ways to interact with the ocean and its creatures. G.K. Chesterton wrote, "There is no way in which a man can deserve a sunset." I have to agree.